Vans Surf x Yusuke Hanai Spring 2019 Collection — strictly waffles. 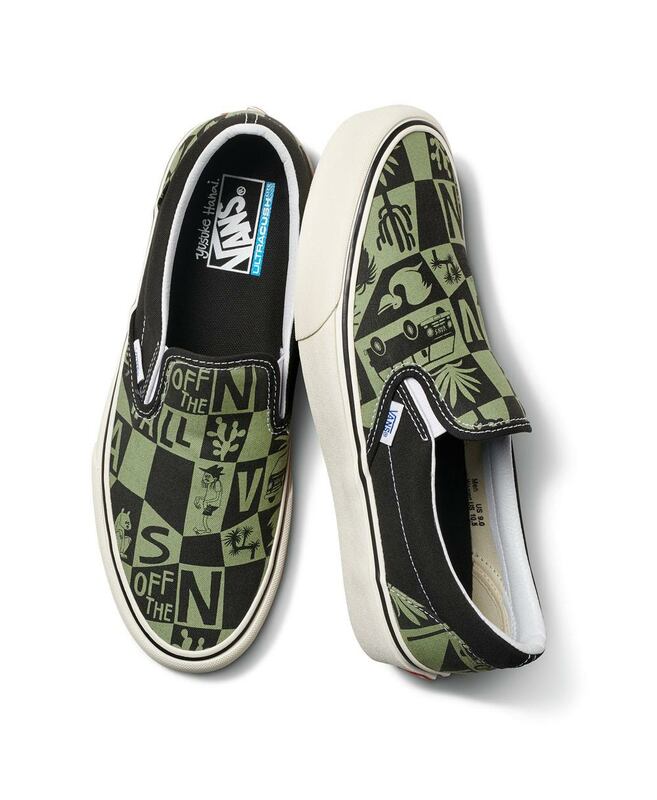 Vans Surf line and japanese artist Yusuke Hanai continue their collaborative relationship into 2019 with this latest capsule collection. Hanai takes his inspiration from Rick Griffin and the counter culture beat generation of the 60s. His blending of vintage and modern stylings remind me of classic Hanna-Barbera cartoons with updated themes. There’s a little something that can make everyone happy in this capsule. The Vans Surf x Yusuke Hanai Spring 2019 Collection is available now from Vans.com and in store at select locations. Check your local for more information.